Cityhall:Ain't Nothing You Can Do! Title: Ain't Nothing You Can Do! John Primer and Bob Corritore join forces once again to present their deep Chicago blues roots. 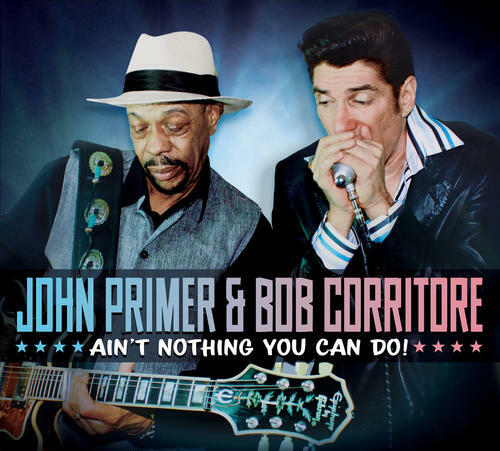 Their 2013 Delta Groove debut, "Knockin' Around These Blues," garnered awards and nominations, international critical praise, and a number one spot on the Living Blues radio charts! Backed by an all-star cast that includes Henry Gray, Barrelhouse Chuck, Big Jon Atkinson, Troy Sandow, Chris James, Patrick Rynn and Brian Fahey, Primer and Corritore lead their seasoned session partners through a hard-hitting program of stompin' shuffles, rowdy dance floor packers and treacherous slow blues.